Always a favorite with vacationers, Iberostar Resorts shine brightly on the best beaches throughout Mexico, Jamaica and the Dominican Republic. Prepare to be pampered the Iberostar way, with spacious guest rooms, attentive personal service and every imaginable activity. Dining is a delight at Iberostar, where buffets are abundant and specialty restaurants are special indeed. Iberostar offers a variety of entertainment for all ages and Kid’s Clubs so you can relax while the little ones are entertained. Enjoy a round of golf at Iberostar’s championship 18 hole course in Cancun’s Riviera Maya or be pampered at a world-class spas. 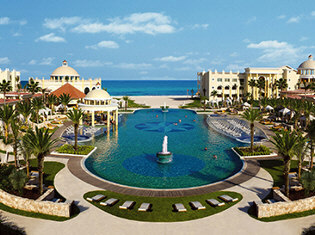 For the ultimate luxury all-inclusive experience, choose an Iberostar Grand Resort. 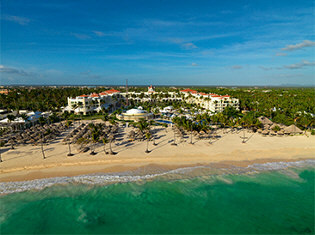 Iberostar Resorts… Easy to Reach. Hard to Leave. 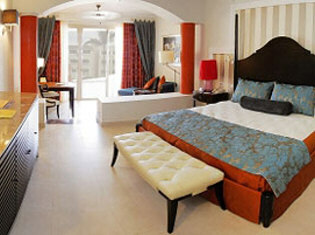 Iberostar Grand Hotel Bavaro (Punta Cana, D.R.) 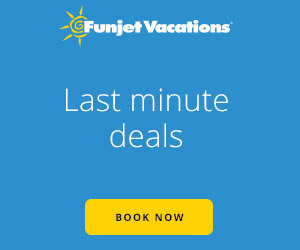 is a lavish, all-inclusive, adults-only resort, designed for golf lovers and romantics seeking a getaway in beautiful Bavaro beach in Punta Cana. Just 35 minutes from the international airport and located on Punta Cana’s beautiful Bavaro beach, this exclusive resort offers handsomely appointed guest suites, an outstanding selection of gourmet restaurants and impeccable service, including butlers. This luxury resort features an oceanfront spa and fitness center, a serene, lake-style pool, a second activity pool, all-suite accommodations and access to an 18-hole championship golf course designed by P.B. Dye, ideal for the golf-lover in your life. Iberostar Grand Hotel Paraiso (Riviera Maya, Mexico) is an adults-only (18+), all-suite, all-inclusive hotel in beautiful Riviera Maya. Boasting unparalleled service, extraordinary amenities and exceptional cuisine, guests are encouraged to indulge in all Iberostar has to offer. The beachfront Grand features a couples-oriented spa and the option of oversized suites with an intimate Jacuzzi, both created with offering a heightened sense of pleasure in mind. Nestled within the Iberostar Playa Paraiso Resort complex, guests will have a full-range of amenities and exchange privileges, perfect for those seeking an action-packed, relaxing vacation. Iberostar Grand Hotel Rose Hall (Jamaica) is an all-inclusive, adults-only (18+) resort located beachfront in the beautiful historic Rose Hall area of Jamaica. The hotel, located within the Iberostar Rose Hall complex, offers premier components of Iberostar’s Grand Collection with elegant amenities, gourmet cuisine and impeccable service. The seductive charm of this architectural jewel is sure to capture the heart of those in search of a relaxing vacation experience.